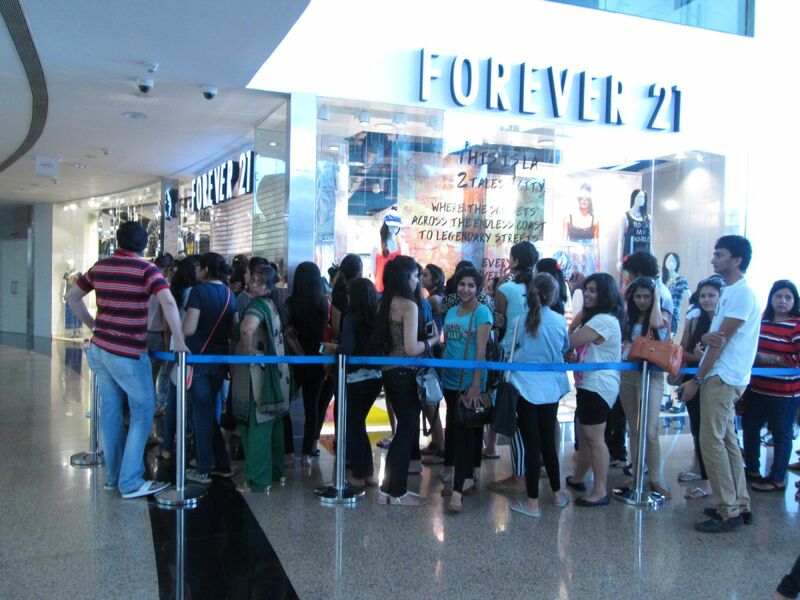 I heard people at my office yesterday going ‘gaga’ about the Forever 21 store opening at Infiniti II Malad today. Since I live right around the corner I decided to pop in around opening time to see what the fuss was all about. I looked it up and found that the first 300 customers in line were to get a free gift according to their FB page. Since there was five minutes to go to 11 am, I joined the queue. Every one was buzzing about the free gift and how they hoped that they were within the 300. Some even said the girls up ahead come in at 9.30 and had a hard time will mall security letting them into the mall. I assured everyone, it would be something really cheap like a key chain or a plastic ball point pen. A Forever 21 (Singaporean, I think) staffer rushed out frantically counting the people in queue. This got everyone even more excited whether they would be the ones receiving the ‘gift hamper.’ Well, the clock stuck 11 and everyone filed in and at the entrance were given a black rolled up thing which looked like a bag. It turned out to be this (below). Some of us opened it thinking there would be something in, but nope, empty. It’s a shopping that you get when you buy stuff. Probably doesn’t cost more than Rs 10. I checked with the sales staff and apparently that was the ‘gift.’ Pretty cheap PR stunt. I mentioned this to some more staff as I wanted to check their reactions – and their reactions was ‘its fine, ma’am’ – whatever that means. I mentioned this on purpose to the cashier, and he said he ‘didn’t know what to say.’ They could have done a free gift with purchase for the 300. Especially since many girls came in quite early and waited in the queue for over an hour! And their FB status said ‘first 300 in line’ which means they expected that people would queue up! So I guess this is the attitude towards customers of the ‘new age’ stores. Call me old-fashioned but I really think the ‘old world brands’ like Raymond and Park Avenue know how to treat customers. People were rushing at the clothes like they’ve been starved of shopping for months and were stuffing bags like the shop was shutting in an hour. And there was no discount. Sorry, I couldn’t snap pics as people were all over the place. Will try to update this post when I pop in there next week. The merchandise was so-so. Nothing extraordinary or different from Zara or Vero Moda. I’d rather pay a bit more for Zara. The basics tees and spaghetti tops were at Rs 360 onward, leggings were priced at Rs 339. Some of the things were quite expensive like the tops at 1700 onward. I saw a few jackets priced at Rs 2000. So I think pricing is lower than Zara and Mango. I picked up a T-shirt dress in grey horizontal stripes priced at Rs 1009 and a pair of black stretch pants. The dress is perfect for summer with a pair of thong sandals. The black pants are priced at Rs 1500. A bit expensive but it’s made of thick polyester + Lycra and holds in the tummy. I can even wear this to work with a longish shirt. I found plain chiffon blouses for Rs 1800 so in comparison with that, this looks priced decently. I like the shoes and accessories – quite smart and not too badly priced. The accessories especially the little trinkets and jewellery is really nice. I see the over priced Accessorize shop bear a deserted look. However some of accessories are cheap while others like the earrings I saw could be bought at Bandra for 30 bucks. I’ ve realised at Forever 21, you have to use your judgement and shop wisely.The merchandise looks bit promising but I don’t like whatever I have seen of their attitude towards customers. Update: I saw a green top which is the exact same top as one on Buyincoins for half the price. Check it out. That’s such a shameful thing to conjure up to get customers on the launch day! Anyways people would have come out of curiosity but I don’t appreciate such customer treatment. 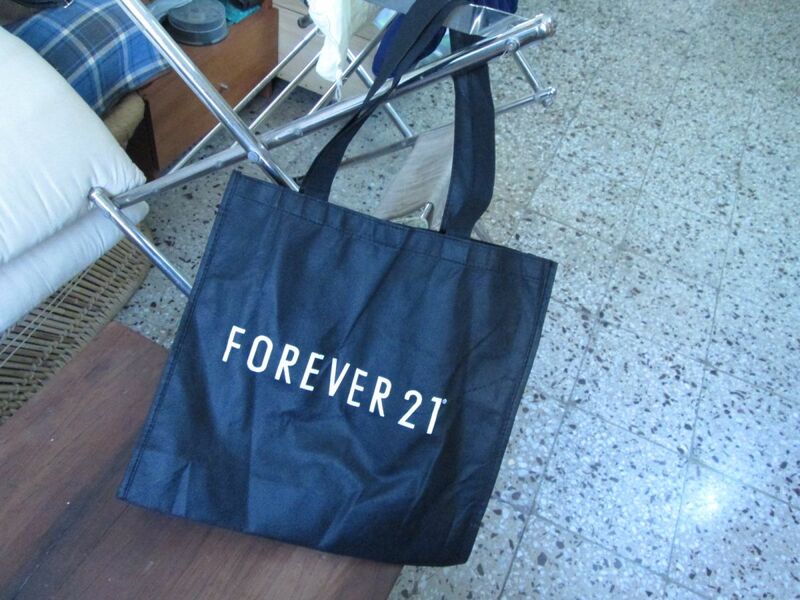 I have been to a Forever21 store only once in Delhi and the items were overpriced though I loved quite a few. The shoe sizes started from a very high number and the accessories were quite similar to what you get from BIC for pennies. Other than that, I have seen their stuff mostly online. I think I have a dress from Forever21 packed somewhere in my bag wen I shifted from Delhi. 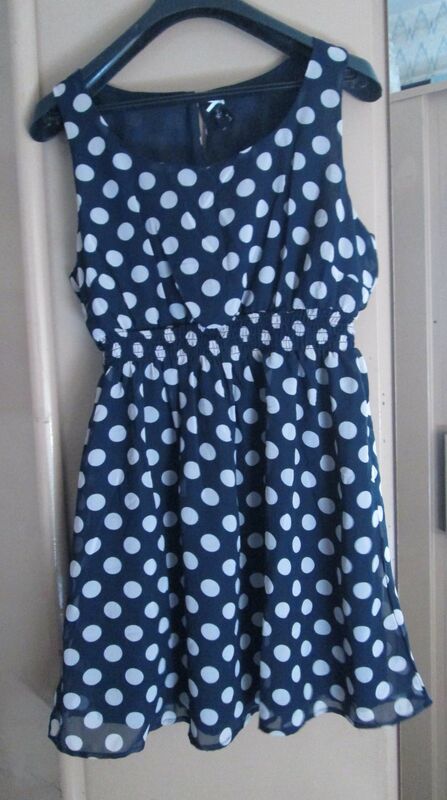 O I loved the polka dots dress! 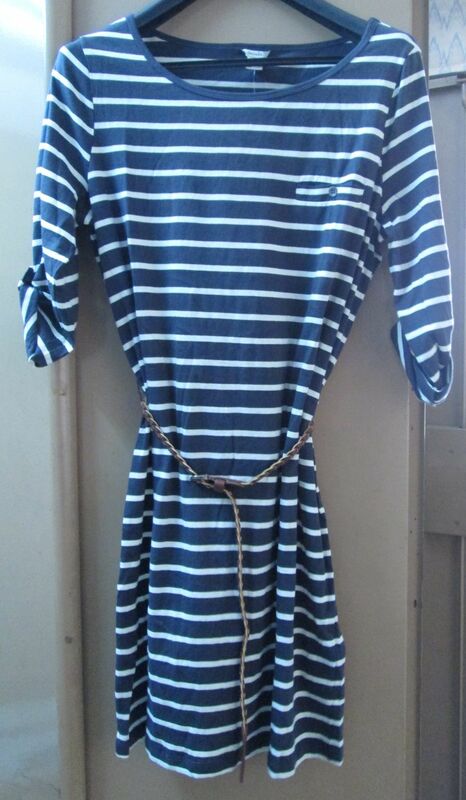 And the striped t-shirt dress you chose is also very nice. But I like the fact that you are a wise shopper.